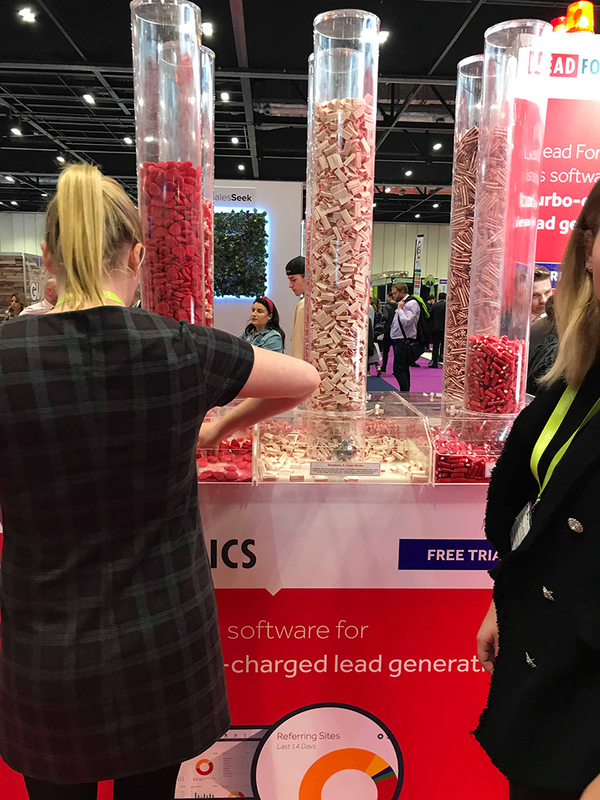 Last week the 27th and 28th of March, I headed over to London to visit the B2B Marketing Expo. 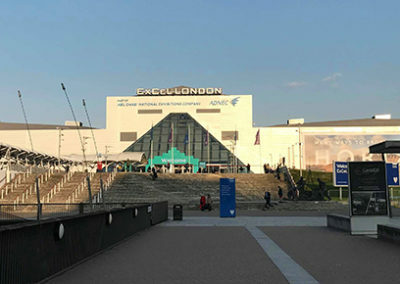 The exhibition held in the Excel London boosted a vast range of suppliers for the marketing world as well as a great range of talks and workshops. 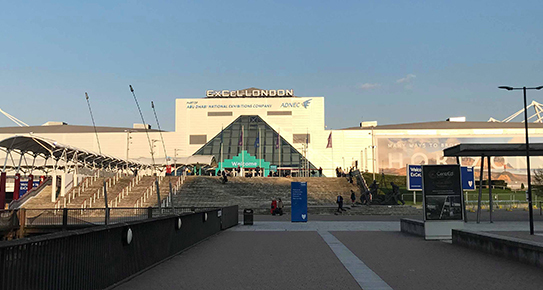 Over the course of the two days, I attended a lot of the keynote speeches and the different workshops available. Here are just a few highlights from some of the talks that I found the most useful. 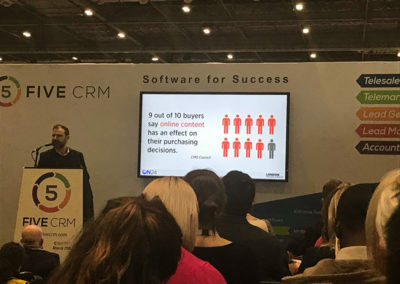 Having made use of many of Smart Insights resources, I was excited to see Dave Chaffey speak at the B2B Marketing Expo, and I definitely wasn’t disappointed, Dave’s presentation covered their RACE Planning System for Digital Marketing. 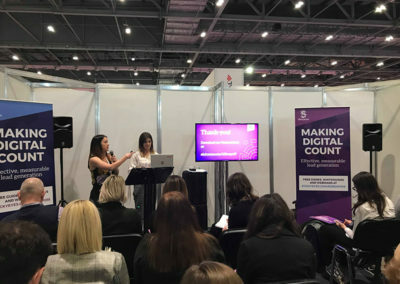 Which includes the stages of Reach, Act, Convert and Engage as well as the very important planning stage that comes before you can begin to promote your branded content. Dave explained this much better than me and you can check out his full presentation here. 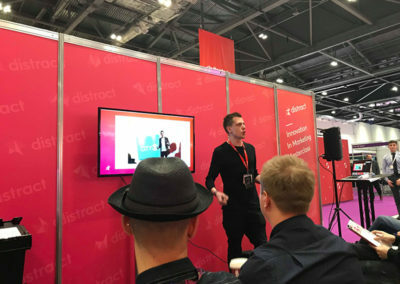 Dave also discussed lots of handy tools that can be used in the digital marketing space, giving options for both small and large businesses. Many of these such as Google Data Studio and Google Webmaster Tools are free tools that are often overlooked and underutilised. Dave’s talk was engaging and was a great mix of practical advice and real-life examples from the B2B marketing world. 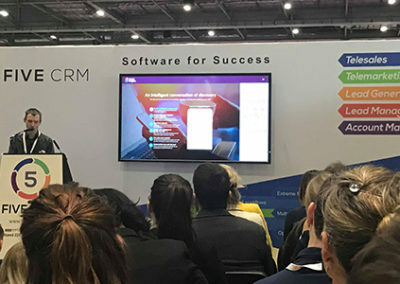 Arguably one of the most passionate and enthusiast speakers I have seen, Peter delivered a great presentation covering some of the latest innovations in B2B marketing as well as practical strategies to improve your marketing. 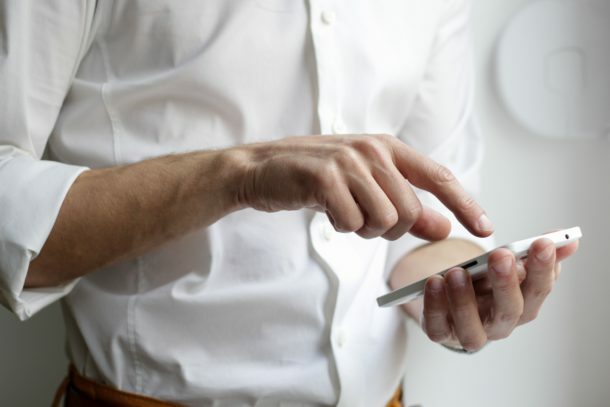 Innovations covered the different strategies they use for Google AdWords, LinkedIn Sponsored content and the use of advertising on less well-known platforms, where people have high purchasing intent, but the advertising spend is still relatively low, as these platforms have not yet become saturated with advertising. Peter also discussed their Key People of Influence Strategy. This strategy is based on the book – Become a Key Person of Influence by Daniel Priestley. A book I will definitely be ordering after hearing Peter talk so passionately about it. 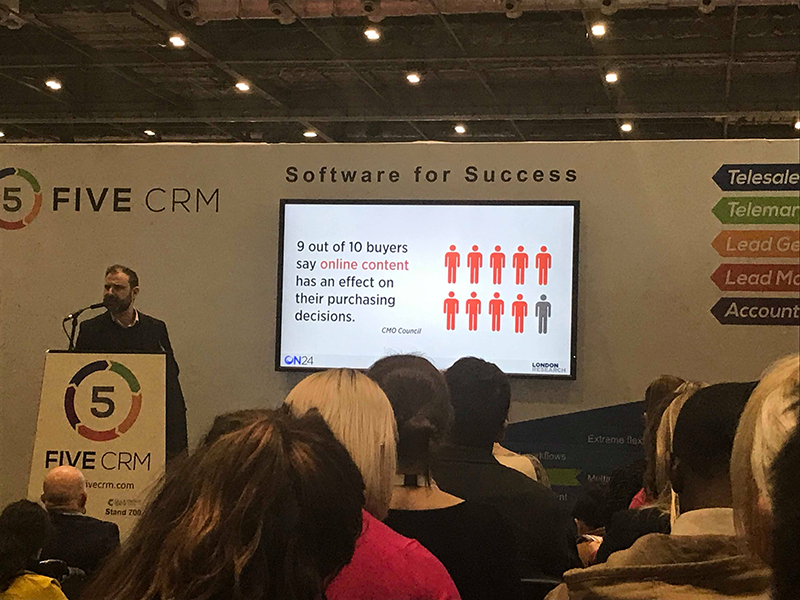 In his presentation, Peter drove home the message of ‘people buy people’ for anyone who studied marketing at university, you will have heard this a million times. But his presentation really showed the difference that actually applying this theory to your marketing can have. 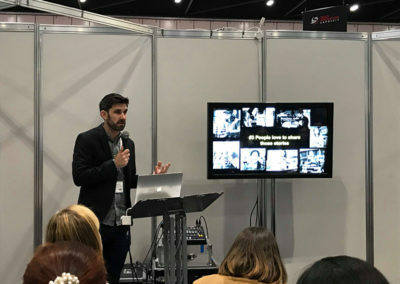 He went through several real-life examples of the campaigns that he has worked on for his clients, as well as talking about how they have applied this theory for marketing their own agency. 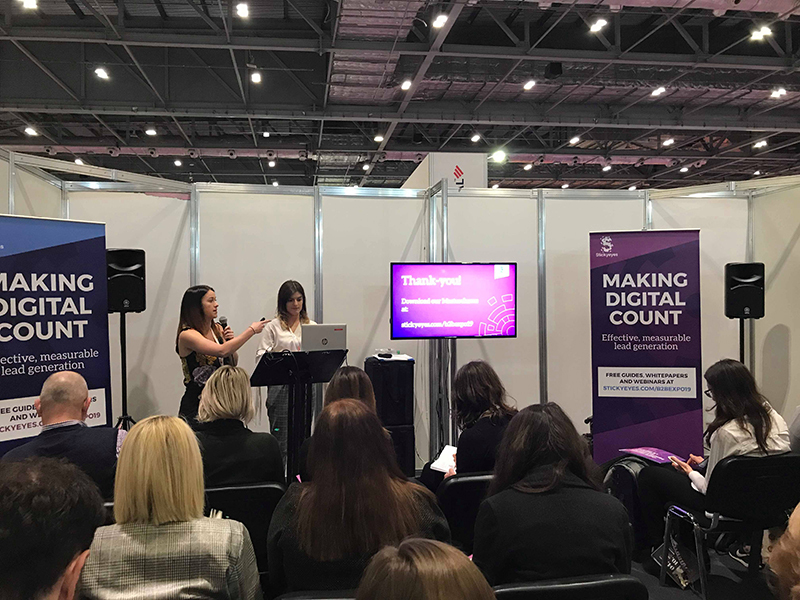 The B2B marketing space is competitive and they have found that promoting their employees as experts helps them to stand out and enables them to build relationships with potential clients. The super successful strategy ensures that they focus on clients wanting to work with Distract’s employees as specialists in their field rather than Distract as a brand. Considering they are one of the fastest growing advertising agencies in the Midlands, it’s definitely advice I’m going to take on board. Another workshop I really enjoyed was delivered by Martin Ray Jones from Eden Videos. This workshop covered explainer videos, their popularity and the key steps to successfully creating one for your business. Martin discussed how the popularity of these videos exploded around 2011. 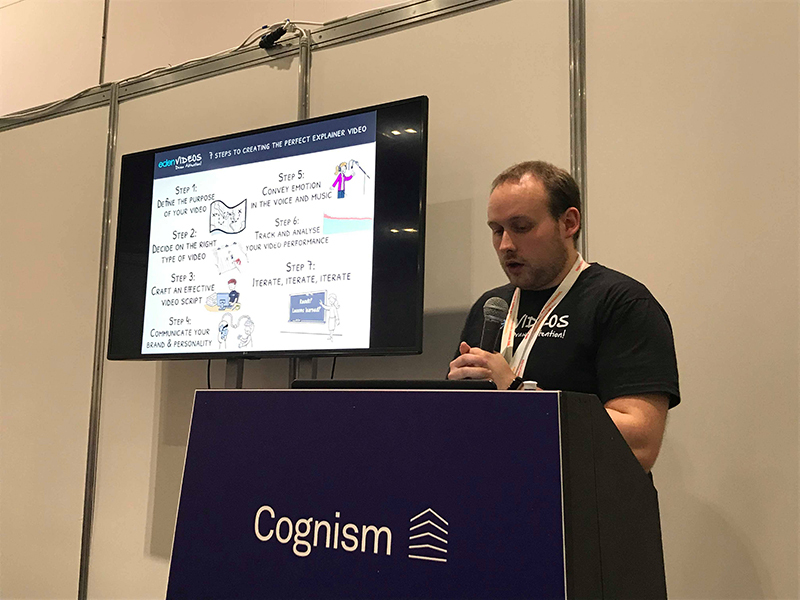 Undoubtedly you will have already seen lots of explainer videos but Martin described it as a video that tells your potential customer exactly what you do, normally explaining a complex idea in a simple format. This could be an increase in website traffic, an increase in the average time spent on your website or shares on social media. Whatever the purpose, it is important that from that you can create a defined and measurable goal. You need to consider the best way to convey your idea, but not only this you need to think about the type of video that would resonate with your potential clients. He included animated examples from DropBox and the infamous live-action video from Dollar Shave Club. Before you start filming or animating it is important that you have a script to follow. Martin gave a handy tip on this, explaining that 150 written words is normally about 1 minute of voice over time. This includes fonts, colours and logos. As well as the tone of voice and the way you would typically communicate with your customers. Ensure that your voiceover and backing music has the correct tone for your video and your company’s tone of voice. Take advantage of the analytics available on video hosting websites such as youtube, as well as your own website analytics on your Google Analytics. Review the results and any lessons learnt. Use these going forward and when working on your next video. 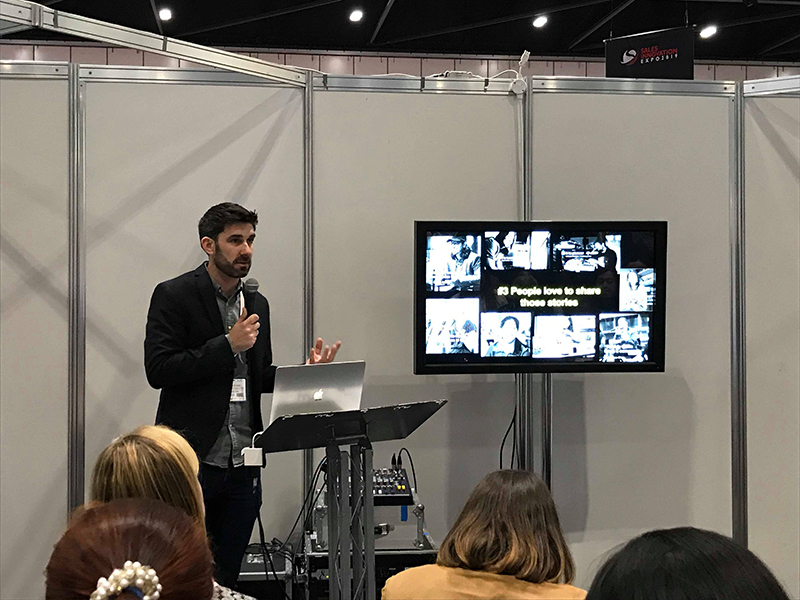 I really enjoyed this talk as it was a bit different in that it gave practical advice that can be immediately utilised, especially as video marketing is now considered a necessity rather than a luxury. These are just a few of my highlights and there were so many other great talks and workshops that I attended, but I would be here for hours if I was to discuss them all. 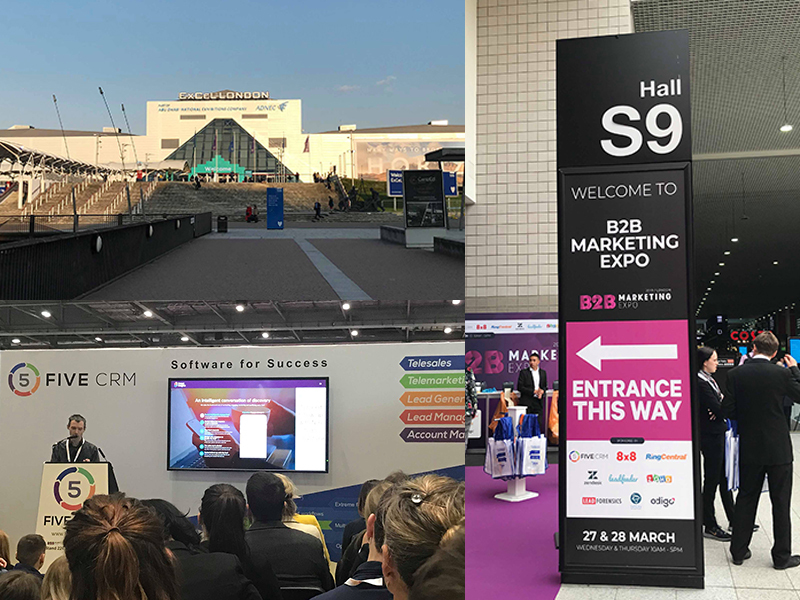 I would definitely recommend this event to anyone working in B2B marketing, looking forward to next year already. 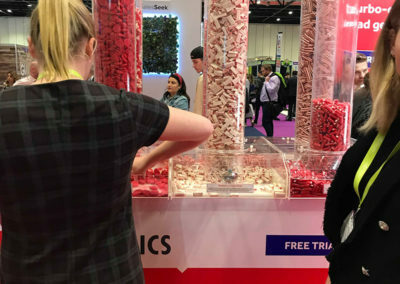 Also, shout out to Lead Forensics who kept everyone’s energy levels up with their amazing pick and mix.